FALMOUTH, Mass. � Four Coast Guard crew members have been injured after two vessels collided in Massachusetts waters during a training exercise. 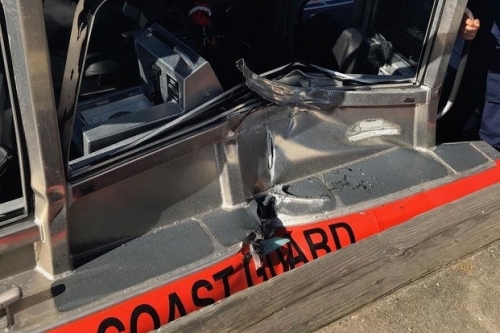 The Coast Guard said two 29-foot tactical boats were involved in "maneuvers and training" off Falmouth when they collided in Buzzards Bay. The agency didn't elaborate on how the collision occurred or the extent of the injuries suffered by crew members, saying only that they were considered non-life threatening. The Coast Guard said both boats returned to Station Woods Hole under their own power and the injured crew members were sent to a nearby hospital for evaluation. The incident remains under investigation and Lt. Cmdr. Anna Hart said that the agency is grateful the injuries were not more serious.